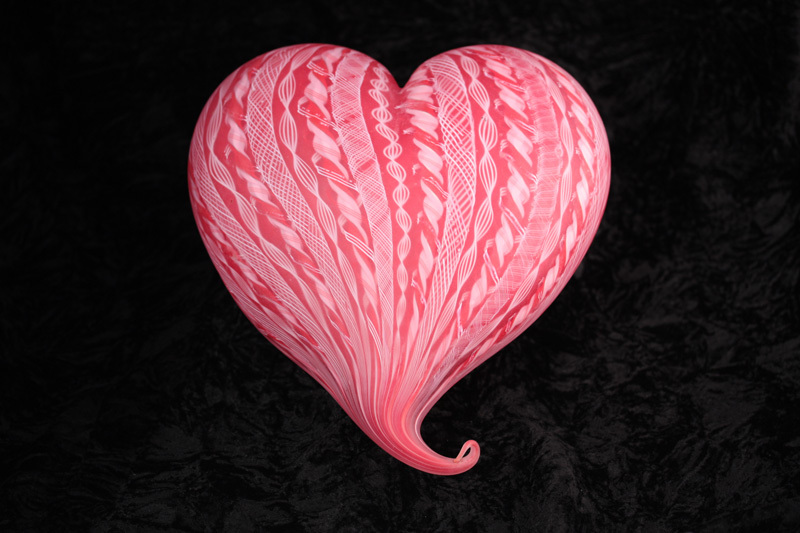 A beautiful cane heart. 9″ across. Making the cane was lots of fun, but so was making the heart! I even have a picture of making it, if you’d like to see it.